You’ve probably noticed that we really like pistol-caliber carbines. Great for home defense, fun at the range, and even competitive shooting, pistol caliber carbines (PCC) offer shooters the experience of shooting an AR-15 (or similar rifle) without the cost of high-dollar ammo. The nice thing about building a PCC is that you don’t need to make a huge investment. A dedicated 9mm lower is better…but a standard AR-15 lower with a magwell adaptor also works. Really, the major thing you need is a new upper and the right magazines. 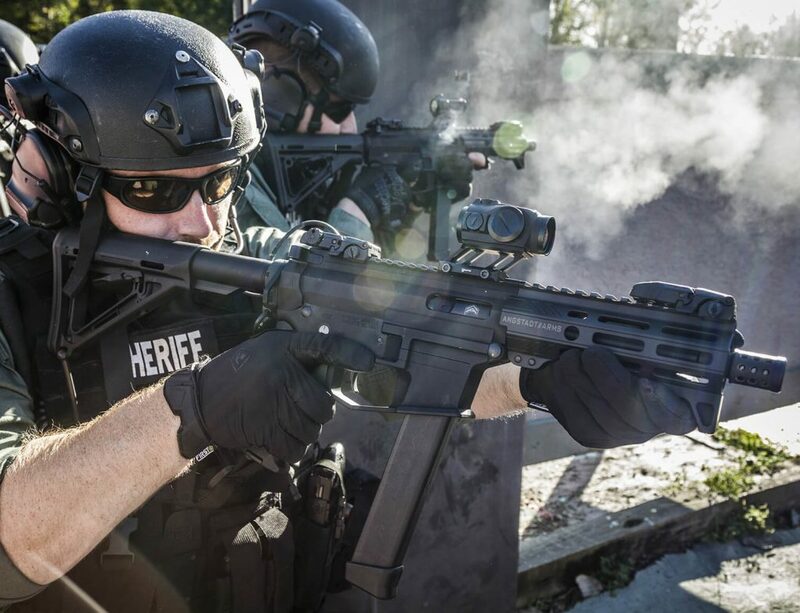 With the explosion in popularity 9mm PCCs are enjoying right now, there are a LOT of options on the market for dedicated complete uppers. We’ve tested a bunch of them and played with even more and to our minds – these are the best of the batch! Think of the upper and lower receivers as the heart and soul of your AR-15. Whether you’re running a pistol-caliber carbine or one of the many other types of guns on the AR platform, you’re going to need to a solid receiver set before you get started. Today, we’re going to look at a series of upper sets and stripped upper receivers that support 9mm cartridges. But first, let’s look at some reasons why you may want to shoot a 9mm AR. Ammo is a lot cheaper. Beginners may find them easier to handle. And many of them are lighter than their counterparts. There are fewer restrictions with 9mm AR-15s. Most indoor ranges don’t have any problems letting you shoot your pistol-caliber carbine there. The work great with suppressors. Now that we’ve covered the basics, let’s look at some different types of uppers. Unless you’re completely new to AR builds, you probably already know that PSA parts offer the best in quality and affordability. PSA has built their entire reputation on providing dependable, high-quality products with a mid-range price tag – and the AR-9 upper is no exception. But enough about PSA, let’s look at the specs of this part. 16” Chrome Moly, nitride-treated barrel. Billet 6061-T6 aluminum upper receiver. Nitride-treated 9mm BCG, compatible with both Glock and Colt magazines. Overall, you can expect this upper set to offer a smooth shooting experience, especially if paired with a PSA lower. With that said, some southpaw shooters have complained about gas and residue when shooting, due to the placement of the ejection port. Just something to consider if you’re a lefty. PSA also offers their AR-9 as a complete rifle – our Slickguns Review of it was very positive! What’s your take on the PSA? Perfection ain’t cheap. But when you go with Angstadt, one thing’s for certain – you’re going to get a quality gun. And when it comes to pistol-caliber carbines, this isn’t Angstadt’s first rodeo. We’re talking about the same company that developed the UDP-9, a popular compact defense weapon that combines the effectiveness of the 9mm cartridge with the tactical advantage of a carbine. 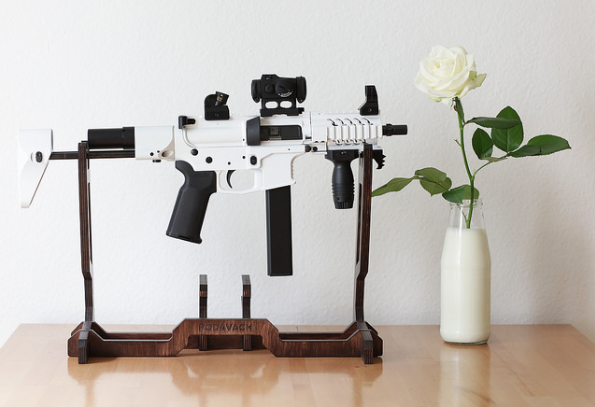 What if you wanted the upper parts of the UDP-9 but wanted to mix and match the rest of your components? They’ve got you covered. The 9mm AR-15 complete upper assembly is a Colt and Glock mag-compatible upper receiver for your pistol-caliber AR pistol. And with a maximum barrel length of just 6”, it’s perfect for anyone looking for a compact weapon that packs a punch in a home-defense scenario. Also, don’t let the price tag fool you. You’re definitely getting every bit of what you pay for when you go with Angstadt. Let’s look at its specs. Upper receiver made from sturdy 7075-T6 billet aluminum. The receiver has been given a modified ejection port to ensure smooth ammo cycles and reduce chances of spent brass, gas, and debris hitting the shooter in the face. Upper set comes with a 6” chrome moly barrel supporting 9mm cartridges. Stylish and tactical 5.5” free-float handguard comes with 2 QD mounting points. 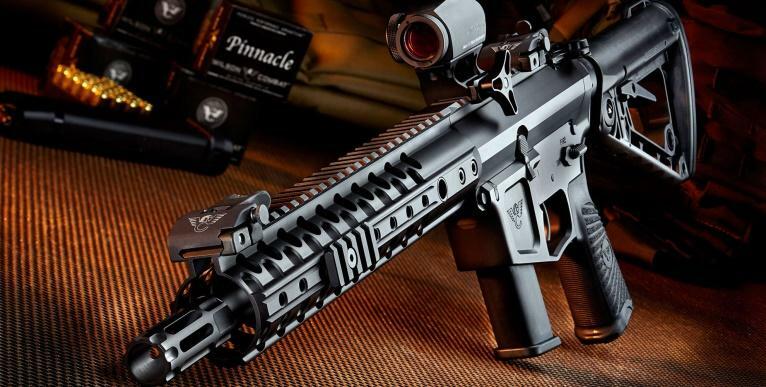 Heptagon handguard offers 7 sides with M-LOK mounts. And if that isn’t enough to sell you, consider this: Angstadt’s handguard has been specially modified to support most aftermarket suppressors. Plus, the barrel comes with its own A2 flash hider. Foxtrot Mike Products offer a number of solid AR-15 components, including parts for 9mm carbines. When choosing an upper receiver for your 9mm AR, be sure to check whether it’s compatible with lowers that support Glock or Colt magazines. Many of FNP’s uppers aren’t cross-compatible. With that said, FMP offers a number of 9mm AR-15 upper receivers with barrel lengths ranging from 8.5”, 10.5”, and 16”. That means finding the right setup for you has never been easier. Whether you want to run with a compact pistol-sized AR-15 or you want a full-length 9mm “rifle,” FMP has the right upper set for you. Moreover, each configuration comes with a special interlocking connector designed to prevent the barrel nut from loosening after repetitive use. While the specs vary slightly depending on the size of the receiver you go with, the basic setup is the same. Upper set comes with a Picatinny rail mounted on the top and an M-LOK compatible handguard. Build from 4150 carbon steel and given an anodized finish. Comes equipped with an ambidextrous charging handle for maximum comfort. 8.5” and 10.5” barrels are equipped with a diffuser, while the 16” barrel comes with a muzzle brake. All three upper sets come with a lightweight PCC barrel. If you’re looking for quality and dependability, you can’t go wrong with FMP. Their quality craftsmanship and engineering mean that you’ll be able to run all types of 9mm ammo, even the economical stuff, without experiencing constant problems. And best of all, you also get a lifetime warranty. If you’re not one for the extra bells and whistles or you’re trying to recreate the M16, then Rock River Arm’s upper receiver set is for you. 16” 4140 steel barrel made by Wilson. This upper set only works with lowers that support Colt-style magazines. Also, if the suggested price is too rich for your blood (understandably so), you can also buy their 9mm A4 Upper receiver for $175. Of course, you’ll just be getting the receiver and not any of the other perks, like handguard and barrel. Want to build a dependable 9mm AR-15 and got a lot of money to burn? Might as well go with one of the companies who started it all – Colt. Colt’s 9mm upper conversion set gives you everything you need to build the perfect AR-15. This setup includes a 16” barrel, BUIS by Magpul, and standard A4-style handguard. Colt is also just a legendary name in firearms with a QA and CS team that is almost unrivaled. If you ever decide to sell your 9mm upper down the road, Colt tends to hold value better – mostly due to that name brand recognition. We have a complete guide to Best 9mm Ammo that you really should check out. In that article, we go in-depth on the pros and cons of our favorite 9mm ammo, but for now, I’ll just give you two – one for plinking, one for defense. Great ammo for just plinking or training, it’s always gone bang for us and can be readily found at a cheap price. 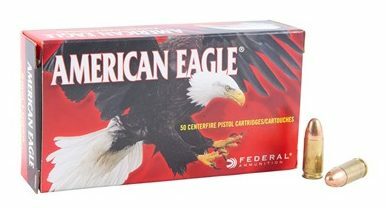 When it comes to ammo that you can burn through without breaking your wallet, American Eagle is at the top of our list. 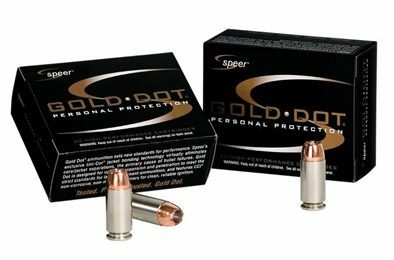 Trusting your life to your ammo blind is never a good idea, thankfully Lucky Gunner has done extensive testing on a wide range of 9mm ammo and Speer Gold Dot is proven to be one of the best. We like it because 1) it’s proven and 2) you can get it for a decent price making it easy to shoot it enough to ensure that your firearm works well with it and to zero optics. That concludes our list of 9mm AR-15 uppers. While far from exhaustive, these are some of our favorites—and there’s a diverse enough range to help anyone from budget buyers and top-dollar spenders get the right parts for their pistol-caliber AR-15. That way, you can spend more time squeezing off rounds at the range without having to budget for ammo. If you happen to be running a 9mm AR-15 or any other type of pistol-caliber carbine, we’d love to hear more about your setup. And also be sure to check out Best AR-15 Upgrades to make your PCC run even better. The post Best 9mm AR-15 Uppers : It’s PCC Time appeared first on Pew Pew Tactical.